Note: No scheduled services in Pacific on January 2nd due to flooding. Holy Father, I hereby admit and claim that we, the “crown” of your creation, (also known as “the human race”) do not know how to run the administration of this planet you have placed us on. This is a confession of our foolishness and lack of wisdom. This is a confession of our pride and arrogance in thinking we were capable of building a society - let alone even getting along with each other. Our forefather and foremother took upon themselves (contrary to Your advice) the determination to decide what was good and what was evil. We, as a race of people, have followed in their footsteps. We, as a people, have failed miserably again and again. We as a people continue to err, for we have no wisdom. You, in Your wisdom, saw fit to bless this human race with a book, a manual, on how to run all things - even after we rejected Your tree of life. Alas, we have rejected the book and shunned Your advice. We are to blame. As I look around this planet, I see violence and destruction everywhere. Evil is running rampant. I know that for about 6000 years this scenario has continued unabated. But today is the only day I have before me and so today I appeal to You, the great and awesome God, who “by Your great power and outstretched arm, have created the heavens and the earth” (Jer. 32:17). May You install the one true King upon this land; the One who will straighten out all things according to Your will; the only Son of God and Son of Man, Yeshuah the Messiah. He is the One, the only One, who is worthy to take the scroll from Your right hand and to open the seals. So much of mankind is convinced of evolution, and yet the reality is that God created all things. If we look at the things around us in “nature,” we see the bird building a nest in the same way it did three thousand years ago (Psm. 84:3). She has not progressed or evolved in the way things are done. The lion still raises her cubs in a den. But man has “progressed” in the things he does, from walking, to riding a camel, to building a cart ... to a jet airplane; from a simple hut to a palace; from word of mouth to the internet; and somehow this progression of man from simple to complex aids our erroneous concept of evolution. Once we come to understand that nothing comes by evolution but that all things come from the Creator, maybe we can come to see that our “progress” from simple to complex, from bow and arrow to nuclear bomb, is not really all that good. Perhaps there is a joy in simplicity that we have overlooked as we run as fast as we can through this life. So ... what will happen in that day? Verse two continues, “Many nations will say, ʻlet us go up to the mountain of the Eternal, to the house of the God of Jacob. For He will teach us His ways so we can walk in His paths.ʼ” People will be learning about the ways that God originally intended for mankind to walk. They will allow Him to settle disputes because He is all wise and all righteous; putting war behind them and realizing that good but simple agricultural practices are what He desires. And then in verse 4 of Micah 4 we read, “Every man will sit under his own vine and under his own fig tree.” We will then go from “agribusiness”, hog confinements and 10,000-head cattle feed lots, to the simplicity of every man having his own means to produce his own food and doing so without fear and in safety. God put mankind on a straight path; He gave him a fully fruitful garden, “and God, the Eternal, planted a garden in the east, in Eden and there He put the man He had formed. . . And He made all kinds of trees . . . pleasing to the eye and good for food . . . a river watered the garden” (Gen. 2:8-10). And so He told man he was free to eat from any tree but one. The rest of the story is very well-known. God placed His chosen people - His nation - on a “straight path.” He gave them a land flowing with milk and honey: “For the Eternal your God is bringing you into a good land, a land with streams and pools of water, with springs flowing in the valleys and hills; a land with wheat and barley, vines and fig trees, pomegranates, olive oil and honey. A land where bread will not be scarce and you will lack nothing; a land where rocks are iron and you can dig copper out of the hills (Deut. 8:7-9). Then God said, “Be careful that you do not forget the Eternal your God, failing to observe His commands, His laws and His decrees” (Deut. 8:11). The rest of this story is also well-known! This, of course, will be Godʼs doing in the millennial reign of the Messiah. And it shall bring mankind full circle into the simplicity of life that gives contentment. In one sense, man will be forced to find this contentment in a simple life. Just as the Israelites were “forced” to take a day of rest every week. Today, we rush onward to develop newer ways to find comfort, rest, peace, ease - all the things that God would freely give us if we would seek His face with our whole heart. In a way, I guess I can be accused of preaching to the choir. Do we not all understand the reality of what God has for us? But sometimes we do not look as though we do. Maybe it is time to humbly bow before our Father in Heaven and renew our efforts to “sigh and cry over all the detestable things done in the land”. The book of Jeremiah does not have very many uplifting passages, but this is one of a few I have found. and David their king, whom I will raise up from them. There is much to say about this chapter 30 in Jeremiah, but let it just suffice for now to say that I long for that day. is it the s that is silent or the c? As Christians, we talk in terms of walking in the way (Deut 11:19), running the race laid out before us (Heb 12:1), and staying on the narrow path (Matt 7:13-14). We know that our life as a Christian doesn’t stop at baptism. Once we’ve received Jesus Christ as our Savior, we still have to live worthy of the calling we have received (Eph 4:1). We have choices to make, ones that will glorify our Father in heaven (1 Cor 6:20; 1 Peter 2:12). If we’re truly Christians, then our choices are made on the foundation of Christ and on God’s laws. We live our lives with respect to God’s commandments, because we’re in covenant with God. Our part of the covenant, as His people, is that we will do what He has said. Since His part of the covenant is that He is our God, it only makes sense to obey. He’s the Sovereign; we are not. If we want to be in a relationship with our Sovereign, who cannot look upon sin (Hab. 1:13), then we must be a holy people. We must stay on the narrow path, walk worthy of the calling we have received, run the race laid out before us. inside at dinner time, he cannot bark. Barking at us while we’re eating earns him a quick trip outside, but I only had to put him outside twice. Pepper learned quickly. He doesn’t bark; he just looks at us with great intensity. Pepper has learned that he’s not supposed to nip at me or bite the ears of our labs when we go for a walk in the morning. He knows this, but sometimes he just can’t help his misbehavior because he’s so excited that we’re going for a walk. His nipping leaves bruises on the insides of my arms, but he’s my dog; I’ve adopted him into our family. I’m not going to get rid of him. I just keep working with him, trying to get him to modify his behavior. I think this is very much like what God does with us. Because of the covenant we have entered into with Him, God expects that we’ll do what pleases Him - aka, keeping His laws. If we don’t because we’re not yet perfect, He disciplines us. He works with us to modify our behavior. Pepper is a jumper when he’s very excited! I am surprised that he hadn’t already learned to jump out of the yard. He is so thrilled when we come home, he jumps in place. Those jumps are so high, the top of his head is even with the 5-foot fence! That’s truly being excited to see someone! Another indication of how much he wants to be with me is how well he comes when I call. I love how he bounds towards me when I call him. He either leaps, tail wagging, or he lays his ears back against his head and flat-out runs. It’s endearing to have a dog want to come that enthusiastically. I know you all understand the object lesson: we should want to be with God so much that we are willing to overcome obstacles to be with Him. When we hear His voice, we should respond immediately. When we are invited to be in His presence (like the Sabbath and holy days), we take advantage of every opportunity to be with Him. We should want to please Him with our behavior. We should strive to walk worthy of the calling we have received. But there’s another element to our walking down the road of life - in a God-honoring way - that sometimes we neglect. We seem to think that obedience is sufficient; as long as we’re obeying God’s laws, we’re okay. But Paul tells the Colossians that they are to walk in Jesus Christ - to do what God says, being rooted and built up in Him, established in the faith as they were taught - abounding in thanksgiving (Colossians 2:6-7). Thanksgiving is one of those terms that we know, but when we hear it, we tend to dismiss it. It’s as if we say, “Oh, yeah. I’m thankful,” and then we go back to focusing on our daily lives. It’s as if we think we’re already grateful for what God has done, and so we don’t need to think about it any more. I think we’re not focusing enough on being grateful and thankful to God. Paul phrases it in Colossians 2:7 “abounding in thanksgiving.” That’s pretty thankful. To the Ephesians, Paul said, “giving thanks always and for everything to God the Father in the name of our Lord Jesus Christ” (Ephesians 5:20). “Always and for everything” encompasses a lot, don’t you think?! To the Thessalonians, Paul said, “Give thanks in all circumstances” (1 Thes. 5:18). Are you to the point where you can give thanks in all circumstances? All of them? Perhaps as I think about how I could give thanks in all circumstances, I’ll gain a better understanding of what it means to offer a sacrifice of thanksgiving (Psalm 50:14). A sacrifice implies that it’ll cost you something - otherwise it wouldn’t be a sacrifice. So what does a sacrifice of thanksgiving cost you? It’s very possible that being thankful to God is more than just verbally expressing thankfulness. There’s a huge gulf between merely expressing thankfulness and being thankful. It’s the difference between telling the waitress thank you for great service and not knowing how to express your thankfulness to the person who donated a kidney so that you can live. It’s the difference between thanking the USP driver for handing you your package and expressing your gratefulness to the person who found your wallet and went to the trouble to return it to you intact. It’s the superficial politeness compared to the feelings of gratitude which change the way you live your life. I think that if we were truly grateful to God for what He’s done for us, we would have much less trouble submitting our wills to His. I think we’d be much more willing to trust Him. I think we’d be more compassionate to others in their distress. I think we’d live life with more joy and gladness. Because you did not serve the LORD your God with joyfulness and gladness of heart, because of the abundance of all things, therefore you shall serve your enemies whom the LORD will send against you, in hunger and thirst, in nakedness, and lacking everything. And he will put a yoke of iron on your neck until he has destroyed you (Deut. 28:47-48, ESV). Being thankful and grateful leads to living your life with joy and gladness - because you recognize the abundance with which God has blessed you. If you aren’t living your life with joy and gladness, if you’re not recognizing God’s blessings to the point where it changes your life, then God can, and, according to Deuteronomy 28, will take it all away. Pepper follows me everywhere. If I’m going out to get some wood to put in the fire, he wants to go - even if it means he just turns around and comes back in with me. If I go upstairs, he goes with me. If I get my keys out of my purse, he’s right in front of me, begging to be allowed to go. I mentioned to Mom how Pepper wants to be with me and treats me differently than everyone else in the house. Mom said that Pepper knows that I’m the one who rescued him - and he’ll never forget it. Do you know the One who rescued you? How do you show the world that you’ll never forget it? I think I will offer a sacrifice of praise and thanksgiving, living my life with joyfulness and gladness of heart for the abundance of all things. How about you? We don’t often talk about the enormously important work Sagar Jalli is doing with the orphans and abandoned children in India. Sagar, and those working with him, take children who are otherwise hopeless and helpless. He feeds them, clothes them, gives them an education, and teaches them the word of God. He teaches them that God is the Creator, that there are not many gods and that we didn’t just arrive here by chance (evolution). He teaches the sabbath and the holy days. He teaches them of the love of God and then exemplifies it by caring for these kids until they can be out on their own. Sagar would really like to make Hebron much more self-sufficient. It takes about $5000/month to keep things going. Our church has been blessed to be able to send a significant portion of that over the past few years. But given the religious climate around the globe, increasing persecution of Christians, it would be better for Hebron to have a way of bringing in money themselves. To that end, Sagar has started a nursing school. The tuition the students bring in has already started to help. To increase the attendance and viability of the school, Sagar needs to complete a building. That’ll cost around $30,000. In addition to that, Sagar would like to put a second story on the nursing school. That would be rented to Christians who have difficulty renting in India. That second story would cost an additional, estimated $30,000. Sagar feels confident that the school and the hall rental would bring in about half of the monetary needs of supporting Hebron. It seems like a lot of money to us, but each of us donating a little bit can make a huge difference. And if God is in it, it will succeed. Would you please pray about the needs of Hebron and how God might desire your involvement? but Jesus said, “Let the little children come to me and do not hinder them, for to such belongs the kingdom of heaven” (Matthew 19:14, ESV). You have been my God through all of it. What a great thing to say! You have lived life. You’ve made some mistakes. You’ve had some victories. But every step along the way, you walked with God. He was the One you turned to for hope and help. He’s the One who provided guidance and protection and everything you needed. You tried to live by His laws, to please Him, because that’s what it means that He is your God. Go back and read that last sentence again: You live by God’s laws and try to please Him because that’s what it means when you say that He is your God. Somewhere along the line, we got the idea that when God is our God, we’re going to be protected from everything evil that comes along. Shadrach, Meshach, and Abednego weren’t protected from being thrown into the fire. Yes, God protected them from being hurt by the fire, but they still had to express their faith in God regardless of whether He would save them or not! And there are many other examples of God’s people not exactly living in a rose garden. How many years was David on the run after Samuel crowned him king of Israel?! Did you realize that Jesus strongly compelled his disciples to go across the Sea of Galilee - that night when the storm blew up and they thought they were all going to drown (Mark 6:45; John 6:16)? So, just because you belong to God doesn’t mean you aren’t going to have trouble and pain and sorrow. Jesus did, and we are called to suffer as well (1 Peter 4:12-19). Some people think that when God is your God it means you get your prayers answered - because that’s what God does. While it’s true that God does answer our prayers, sometimes the answer is yes, sometimes it’s no, and sometimes it’s wait. Some Christians have a hard time getting their mind wrapped around the fact that God isn’t our own personal genie, to whom our every wish is His command. On the contrary, if God is your God, you’re supposed to serve Him. He’s not there to serve you. It’s an important distinction. God does tell us to ask for what we need. God does provide in incredible ways! But our mindset must be that we are subservient to Him, not the other way around. I know it sounds ludicrous to say it out loud that way, but think about it! Some Christians live that way!! They think that no matter how they live their lives, because they claim the name of Jesus, God is going to bless them - even if they are not obeying His commands. Others think they can earn favor with God by keeping His commands and so influence God to do things for them. Both are the wrong attitude! We are servants of the Most High God, the King of the Universe. We’re supposed to bring every thought into submission to Jesus Christ! Our goal is to have the same will and desire as our God, not get God to grant us our desires and follow our will! We should be praying, “Thy will be done” and really mean it! We’re rapidly approaching a time of year for self-evaluation as we approach the Lord’s Passover. We will be participating in the foot washing ceremony and taking the bread and wine as a church family. This is not to be done lightly. It is not to be done in an unworthy manner. It is a renewal and rededication before God of our relationship with Him. We are telling Him that He is our God and we will obey Him as such. Maybe we should take some time to think about what it means to belong to God. We should consider carefully if we’re living in a way that pleases Him, that brings glory and honor to Him. We should, as Ron Dart once said, lay out our lives on the floor around us, pick up God first, and then only pick up what we can carry. It would be good to evaluate if what we’re carrying accurately reflects the God we serve. I would love, at the end of my life, to be able to sing honestly: Life's been a journey; I’ve seen joy, I've seen regret. Oh and You have been my God through all of it. Perhaps I have mentioned this before, (please bear with me), but one of the truly difficult things about being a male in the church is that we must consider ourselves as a part of the bride of Christ. (Donʼt stop reading yet, ladies, weʼll get to you in a little while.) We men have such an ego to overcome. Our pride and vanity bristles when we think of ourselves as a bride! Somehow that just doesn’t compute! According to Revelation 19:8, we get to wear, “Fine linen, bright and clean.” HUH? Arenʼt we suppose to wear a real “manly” tuxedo at our weddings? Turn to Revelation 19 and look at the scriptures concerning the wedding supper of the Lamb. WOW! What a time that will be! Paul tells us in I Corinthians 2:9 that, “No eye has seen, no ear has heard, no mind has conceived what God has prepared for those who love Him”. But I have a question for all of you, men and women alike: Will you be a part of the bride of Christ, or will you be one of the brideʼs attendants? Are you “making yourself ready” by forsaking all others and cleaving to Him? Or are you attaching yourselves to the bride and somehow helping the bride along? Take heed brothers and sisters. I have seen far too many of you clinging to the bride (that is - the church). You keep the Sabbath and Holy Days, you do those things that look right in the eyes of the bride, and yet you forsake the Groom, the only One who saves you. This is a problem with both men and women. Examine yourselves! Your relationship is with Messiah and not the church. Many seem to feel that since they have come out of some “organization” and so have no allegiance to it, that they no longer need to concern themselves with this problem. But they still look to a man and they still look to the church or to the group that they meet with. Some of them do not meet with others in a group, but they gather tapes from this “ministry” or that “ministry” and they take their “food” from some man or even perhaps several men. Some even salve their consciences by listening to “religious radio” or reading “religious web pages” when they can. This is a very serious problem, dear friends. Examine yourselves! I do not say never listen to taped sermons or religious radio or religious web pages, but for some of you this is your only nourishment. Some of you attend Sabbath services and pay attention to the study or the message, but this is the only nourishment you receive. The Bride of Christ can, of course, help you, but your sustenance comes from the Groom. Jesus said, “I am the bread of life. He Who comes to Me will never go hungry, and he who believes in Me will never be thirsty.” Cleave to Him, visit with Him, get to know Him, and ask Him who “feeds and nourishes the Church” to feed you. We need to look at the idea of examining the church. Putting on your “rose-colored” Sabbath glasses, going to church, looking around the room and seeing all the Sabbath smiles, getting all warm and comfortable inside and thinking, “Hey, this church is doing great!” is not an examination of the church. In both cases the problem is the same - the individuals looking outside themselves to make a judgment. These two attitudes are seen far too often in the churches of God. Both of them are deadly! Both are founded in vanity and pride. A true examination of the worship/fellowship group you meet with begins with self. Have you come to Sabbath services in order to find yourself somehow pleasing in the eyes of others? I have. Have you come to services with accomplishments of the past week on the tip of your tongue, ready to tell others and so win some ego perk? I have. Have you come to services on Sabbath ready to set someone else straight, someone who the week before spoke, in your estimation, in their ignorance? I have. Have you come to church wondering why you even bothered to come? After all you could have gotten a lot more out of the day by just staying home and having a personal bible study. I have, at times, had that attitude. I suppose that I could go on with this list for quite some time, if I would only dig a little deeper into my own motives of pride, vanity, and ego. In short, do you come to your place of worship thinking more about yourself than you do of the Father and His Son? Perhaps you feel as though you have never had any of these problems. Quick. Look in the mirror! You will see the face of a perfect individual. Brethren, our duty is to realize that we all fail. We can come to see that our church is not perfect. But in doing so we must understand that imperfection starts with us!! Too often I have seen and heard of people who leave a group or just consider leaving a group because there were too many problems. Often the problems start with us (or should I say, they start with me!). The group is not emotional enough; they are not intellectual enough; they are not spiritual enough; they donʼt dress the right way; they sing too much (or too little); they are too stiff (or too loose). Each and every one of us adds a different piece of thread to the texture of the church group we meet with. Look around you in all of Godʼs creation and see the variety of colors and shapes. Feel the variety of textures. Hear the variety of sounds. Yes, we all bring our own “baggage” with us when we come together. But, yes, we are a family. Try examining the church again this month. You and I know where to start. One of my favorite books is The Road Less Traveled written by M. Scott Peck. The author, a clinical psychologist, writes about facing the problems of life and overcoming them. He calls it, “experiencing the pain of problems constructively”. To do that he says four types of discipline are required: delaying of gratification, acceptance of responsibility, dedication to truth and balancing. By these four aspects of self-discipline, the suffering inherent to life is confronted rather than avoided. Suffering, by the way, is a good thing. As Christians, we must share in the sufferings of Christ before we can share in His glory. Rom 8:17: and if children, then heirs—heirs of God and fellow heirs with Christ, provided we suffer with him in order that we may also be glorified with him. Of particular interest to me in The Road Less Traveled, is the vital role played by parents in the mental health of children. Peck states that children with good parents will begin practicing each of these four mental disciplines by the age of ten. For example, delayed gratification is the practice of doing the worst task or eating the bad-tasting stuff first, thereby saving the best for last, but parents who are undisciplined by example, often raise kids who lack the ability to delay gratification. Acceptance of responsibility means that when a problem arises you must accept that it is yours to solve. Peck says, “You cannot solve a problem except by solving it.” On the other hand, he also states that determining just what in this life is our responsibility and what is not “is one of the greatest problems of human existence”. It requires continual self-examination and maturity to see what our responsibilities are. Parents have the vital role of helping children see where they are blaming someone else for something that is their responsibility (like being ready for school on time) or conversely, taking blame for something that is not their fault (like a parent with an alcohol addiction). The third mental discipline, dedication to truth, requires a constant input of truth or reality. This is followed by a comparison to our own belief system and updating when needed. Dr. Peck calls this belief system our mental “map” which leads us to make choices in life. God tells parents that they must constantly instruct children in the way of truth. Deut. 6:7: You shall teach them diligently to your children, and shall talk of them when you sit in your house, and when you walk by the way, and when you lie down, and when you rise. According to Dr. Peck, parents have almost godlike status in their children’s lives. This is perhaps why God tells us that he is our Father: Rom 8:15: For you did not receive the spirit of slavery to fall back into fear, but you have received the Spirit of adoption as sons, by whom we cry, ‘Abba! Father’! To a much less extent, he is also portrayed like a mother: Isa 66:13: As one whom his mother comforts, so I will comfort you; you shall be comforted in Jerusalem. I believe God has made a world that includes an extended period of parenting, to teach us about Himself as the perfect parent. He teaches us delayed gratification (suffering now, glory later), and acceptance of responsibility (choose life). He is dedicated to the truth and everyone is admonished to acquire knowledge of the truth from scripture. Finally, the fourth self-discipline, “balance,” is the ability to know when to quit, how much to say, basically how to respond correctly in any situation. I believe in the Bible this idea of balance is called wisdom – the right application of the law. The balance that comes from wisdom is incredibly valuable in God’s eyes. We are encouraged to highly regard both wisdom and truth (understanding). Pro 3:13-18: Blessed is the one who finds wisdom, and the one who gets understanding…Long life is in her right hand; in her left hand are riches and honor. Her ways are ways of pleasantness, and all her paths are peace. She is a tree of life to those who lay hold of her; those who hold her fast are called blessed. Discipline, however, is not an end in itself. In The Road Less Traveled, the author finally brings us to his conclusion that for the four aspects of self-discipline, the motivation is love. I agree. God teaches us delayed gratification, responsibility, truth and balance because he loves us. We are examples of discipline to others and for our children because we love them. If we practice self- discipline privately, we love ourselves – a good thing. If you were thinking, “who cares about discipline,” here’s the answer. The point is love. When all else disappears, love will remain (1Co 13:13: So now faith, hope, and love abide, these three; but the greatest of these is love. ), and discipline and love walk hand in hand. As you know, problems often pop up before the Passover season arrives. This year let’s embrace the pain of those problems constructively! but expecting different results is called parenting. Attractiveness varies inversely with the wiggles. At 300 wiggles the attractiveness is 10. What would the attractiveness be at 150 wiggles? Mathematicians do have a sense of humor. What’s wrong with Christopher that he doesn’t like math? What caused the authors of the book to pick attractiveness compared to wiggles? Why didn’t they stick with 300 watermelon? If you’re interested in finding out the answer, Christopher is quite capable of explaining this to you. Imagine a dead oak tree by the pond. It needs to be cut before it falls into the pond. It’s a good tree to be burned in the stove. But it’s leaning slightly towards the pond. To make matters worse, there’s a breeze blowing the top of the tree towards the pond. Deeply notching the tree on the side away from the pond could make it fall on solid ground. It doesn’t. The weakened trunk shows signs of letting the tree fall right into the water. Perhaps a rope could be wrapped around the trunk and the tree pulled to fall on dry ground. Successfully circumnavigated with the rope, the tree is pulled in the direction it doesn’t want to fall. There’s a point at which it’s obvious the tree is going to fall . . . right where it has been pulled. It’s time to get out of the way! How many times do we, as disciples of Christ, engage in risky behavior? What goal is worth the risk? Sometimes we risk stupidly - like speeding down winding roads to get to our destination a few minutes sooner. Sometimes we risk arrogantly - like doing something to get recognition and prestige from people around us, to show how important we are. Sometime we risk little, having calculated the risk vs. the gain - like pulling a tree towards yourself. But what do we risk for the glory of God? Peter was willing to walk on water - at least initially. Abraham was willing to risk his son. Shadrach, Meshach, and Abednego were willing to risk their lives for the glory of God. In the movie God’s Not Dead, the main character can’t quit thinking of C.S Lewis’ quote: Only a real risk tests the quality of a belief. So what are you willing to risk for God? Or perhaps I should say it this way: How much do you believe in God? How secure, how deep, how all-encompassing is your belief in God? Jesus Christ risked everything for you and me. What will you risk for God? For what does it profit a man to gain the whole world and forfeit his soul? (Mark 8:36) What are you willing to risk for God? If you risk everything, truly, honestly, whole-heartedly, by submitting to God, the gain is eternal life. I can't see myself doing anything. It’s a powerful question. We’ve just celebrated the memorial of Jesus’ crucifixion and death, for our sake. Now what? Do we just go back to living our lives, going to church once a week, daily reading the Bible if we have time, and talking to God when we need something, going about our daily lives? I hope not. Part of the self-examination process we went through prior to taking the bread and the cup, resulted in an intense awareness of how much we need the Savior. Without Jesus, our Messiah, we are lost. We have no hope. We are dead in our sins. But our Heavenly Father, in incredible mercy, has made a way for mankind to be reconciled to Himself. He gave His only begotten Son for you and for me, that we might be forgiven of our sins, adopted into the very family of God, and given the hope of eternal life. God’s love is mind-blowing in its power and eternal effects! It’s not a coincidence that on heels of Passover and the Days of Unleavened Bread, we’re in the midst of the countdown to the Feast of Weeks, Pentecost. It’s harvest season. Just as we’re starting to enjoy the early asparagus, lettuce, radishes, and strawberries, there should be some fruit evident in our lives because of the indwelling of the Holy Spirit. If we truly belong to God, people around us should be able to see it. There should be something different about our actions, some profit for the kingdom. I love the report we received from Sagar at Hebron Children’s Home. They celebrated Passover with 400 people. He sent photos of them washing each other’s feet, of partaking of the bread and the wine, of assembling for services, and photos of some of the 11 baptisms. 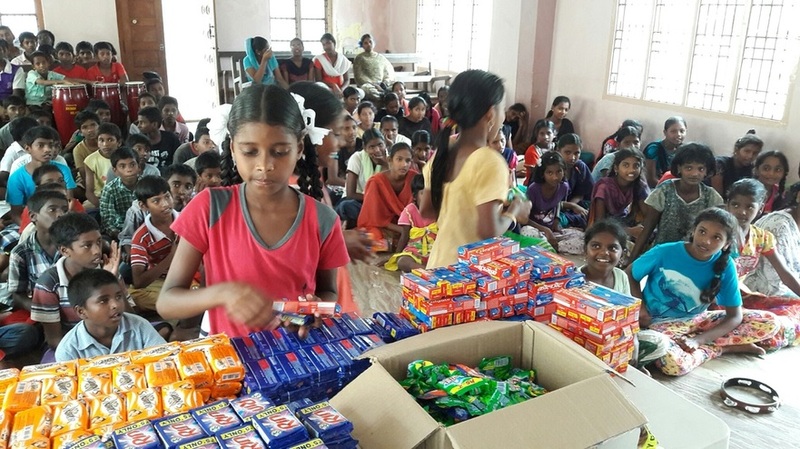 I love how Sagar and his staff are not only caring for the physical needs of these unwanted children in India, they are also teaching them of the love of God, His laws and the joy of celebrating His holy days. India is not an easy place to be a Christian and to faithfully stand your ground in serving God. Nevertheless, we’ve seen the fruit produced at Hebron! To have 400 people assemble with the children to celebrate God’s holy days in spite of the hostile environment is heart-warming and extremely encouraging. It’s also a vivid exhortation that we similarly produce fruit for the kingdom. If you don’t know how you’re supposed to serve Him, ask. Look for opportunities to share the gospel with people around you - and sometimes use words. Live your faith. Be a light in an ever-increasingly darkening world. But don’t settle for having participated in the Passover ceremony and now you’re good for another year. Carefully consider, then, what you are doing for the God who made you and saved you. If you are interested in helping with the Hebron ministry in India, let us know. The need is great and they’re doing a great work for the Lord. "Here is the test to find whether your mission on earth is finished. If you’re alive, it isn’t." One day I heard my 9 year-old son call his younger brother a “maggot,” but upon questioning, he didn’t know what a maggot was or why it would be insulting to call someone that. It turned out he had heard the term watching a drill sergeant encourage (ahem) his recruits to greater efforts. I didn’t pass judgment on the military’s training methods, although I did take this “teachable moment” to explain the metamorphosis of insects in general and the housefly in particular. I find myself thinking about time a lot. It’s a precious commodity. I never have too much time on my hands. Rather, the days fly by; before I can catch my breath, we’re through another week and getting ready for the Sabbath again. And, right now, as we’re counting down to Pentecost, I find myself with an added awareness of the passage of time. “Redeeming the time,” from Ephesians 5:15-16, popped into my head this past week. So I had to look it up in several different translations. (I like seeing how the different translations/paraphrases render the verses.) Look at what I found in just these four!! Redeeming the time . . . making the most of every opportunity . . . making the best use of the time . . . make the most of every chance you get. There’s a sense of urgency in this exhortation. It’s almost as if Paul is telling the Ephesians that they’re not going to get very many chances, so they had better take advantage of the time they have to make it really count - because the days are evil. Isn’t it interesting that the three translations completely agree on this rendering?! If the days were evil at the time of Paul’s writing, what are they now? The lawlessness, immorality, wickedness, perverseness, senselessness, violence of our present society is astounding! I agree with Eugene Peterson; we do indeed live in desperate times. So Paul’s admonition to the Ephesians is to walk circumspectly . . . to be very careful how I live . . . to look carefully how I walk . . to watch my step and use my head. I should think carefully about the choices I make, the paths I take, the manner in which I am living my life. Sometimes I wonder if my business is just busy-ness. I wonder if I’m involved in activities that are just wasting my time. I think, “If God would just tell me what it is that He wants me to do to serve Him, I’d do it.” But I have never heard an audible voice from God. And I can’t go to someone else and ask them what I should do either. God has a job for each of us and my first task is figure out what that is. Sometimes I think I know what God wants me to do and where God wants me to be - and it’s not here doing this. But perhaps, I’m right where God wants me to be; I’m just not content because I don’t see any fruit - I’m not as productive as I could be. So, instead of chucking everything I’m doing and moving to the mission field of ________ (You fill in the blank. ), my first step is to seek God’s will for my life, from this point forward. That requires prayer, fasting, and (even more dreaded than fasting) waiting. Waiting is so hard! I don’t want to wait - because I see the time passing by and I don’t feel like I’m doing anything productive with it. But seriously, if I’m not going to wait on God before I even start serving Him, what are the chances I’ll wait on Him in the middle of the project? In other words, is God going to use me for something really big if I’m not ready and willing to follow His direction, to demonstrate my reliance on Him and submission to His will? If I open my Bible only during church services on Sabbath, if I am not able to explain to someone else why I believe what I believe, and more importantly, why they should believe in God, and if I am inaccurate in how I quote the Bible, I am limiting my usefulness as a witness and ambassador to the people around me. Obviously, I’m not going to be perfect until Jesus Christ returns, but I can be on the road! And that requires Bible study, prayer, meditation, fasting, and yes, waiting on God. I find in the Bible and how I am led by the Holy Spirit working in me. Sometimes as I’m evaluating and prioritizing, I have to go back to step one and remind myself, in repentance, that God is sovereign. I’m not in control; He is. I have to submit all areas of my life to Him. It’s not easy - and that’s why I think that Paul wrote that he died daily (1 Corinthians 15:31). It’s a battle to choose God and His ways over our desires and agendas. But it’s important to make the effort because the days are evil. So am I walking carefully and circumspectly? Am I redeeming the time, making the best use of the time given to my by my Father? Am I wise, or am I a fool? There are only a few days left before Pentecost is here. Have I redeemed the time? What a great quote! Think about it: we all fail at many things. Failure is a part of the human existence, and really, failure doesn’t have to be a bad thing. After all, allegedly Thomas Edison tried 1000 different materials for his lightbulb filament before he found one that worked. When asked how he managed to persevere in the face of so much failure, he told the reporter, "I have not failed 1,000 times. I have successfully discovered 1,000 ways to NOT make a light bulb.” Failure gives us the opportunity to try something else in order to succeed. But to succeed? When we’re successful, we want to continue the ride. We like the feeling of doing something well, of reaching our goal. But what if we’re successful at something that doesn’t really matter? I can think of a myriad of things that don’t matter if I accomplish them or not. I could make it my goal to climb every tree on our property, rationalizing that someday I may have to be an expert tree climber for any number of reasons. Or I could make it my goal to get every single weed out of my garden because weeds take needed nutrients, sunlight, and water from the plants I really want to grow in the garden. But it’s a never-ending battle, time-consuming and, in the end, unnecessary. I could make it my goal to read every western written by Louis L’Amour three times, because he’s very accurate on places and I might someday need to have his work indelibly imprinted on my mind. I’m sure you get the idea I’m trying to convey. Sometimes we see a goal and work very hard at achieving that goal, only to find that success in that area wasn’t profitable in the least. So what is profitable? I believe that to be profitable, my task should point others to God, glorify God, and/or bring God honor when Jesus Christ returns. That’s a pretty broad definition. There’s lots of room for individual choices and preferences. I can climb a few trees. I can pull buckets of weeds. I can read a few books. But my overarching goal is to bring glory, honor, and pleasure to my God. I want to succeed in being a true servant of the Most High. Then I’ll know that I’ve been successful in the only thing that really matters. Before I laid the foundations of the earth, I thought of you and of the days you would live on earth. I planned out the people and the places I would give you. I laid out your neighbors and your workplace, the places you would attend school, and your family; I laid out enough days to do all the good works that I purposed for you, and I equipped you with all you would need to accomplish those purposes here. I filled you with my Spirit to encourage and remind you and lead you. I gave you my Word so you would know me and know what to do. I gave you people to run with and people who needed me. Dodgeball: America's twist on stoning. Isn’t that the truth!? Ken Lee says he gets a sore neck from shaking his head so much over the unbelievable stuff people do. I can identify with that! Unbelievable! believe that the suffering and trials we endure now are for our growth and have a purpose. I believe that God will never give us more than we can bear and will never leave us or forsake us. I hope that you can likewise write a series of statements of your belief in the Great God of the Universe. But now the question is: what do you do with that belief? It’s all well and good to be able to verbalize your beliefs, but then what? Are they statements to be hung on the walls of your house? Maybe. Are they quotes to be posted on your Facebook page? Perhaps. I believe that your beliefs have to be lived. If you really truly believe these things, then they will change your life. They will change the way you live and interact with others. They will change your attitude and your worldview. They will, in a word, be so evident that people around you will recognize that you are very different from societal norms. There’s no way you can blend in if you really believe in God as the Sovereign King who has complete authority over your life. Abram believed and he picked up his family and moved to a place where God would show him; he didn’t even know where he was going!! Joseph believed that all his brothers had done was in God’s plan: they meant it for evil, but God meant it for good, for the saving of many lives. Daniel believed that God was to be obeyed no matter what laws were passed in rebellion to His ways. Shadrach, Meshach, and Abednego believed that God could save them, but it didn’t matter if He didn’t; they believed in God to the point of death. The woman who had an issue of blood for twelve years believed she would be healed if she could just touch the hem of His garment. The centurion believed that Jesus had but to say the word and his servant would be healed. In each case, the person had the kind of belief which dictated what their actions would look like. So. Do you believe in God enough to obey His commands? Or do you make excuses and try to justify your disobedience? Do you believe in God to submit your will to His; do you surrender all? Or do you surrender some? Is the Sabbath a day that you keep holy because God made it holy? Or is it a day that you mostly keep holy . . . sometimes? Do you meet with fellow believers for the edification of the body, or do you forsake the assembling of yourselves together? Do you set God apart as holy in your conduct, a faithful ambassador of our Lord? Or do you give the enemies of God great occasion to blaspheme? I am so convicted by these questions because I know that I fail in so many ways. But I am greatly encouraged by the passage in Mark 9:14-27. The father of a boy with an unclean spirit asks Jesus to heal him, if He can. Jesus tells the father, “All things are possible for one who believes.” I love the father’s response: “I believe; help my unbelief.” When I see my failure to live in a way that is pleasing to God, I know the root of my sin is my lack of belief - and I cry, “I believe; help my unbelief.” I believe God sees my desire and the weakness of my flesh. I believe He rescues me, forgives me, and engineers ways to strengthen my faith and belief in Who He is. I believe that God loves me. He loves me so much that He sent His Son to die for me. He loves me enough to keep working with me, growing me and discipling me that I may be formed into the image of His Son. I believe I need to bring every thought into submission to Him. You know, I believe that there are 100 billion trillion stars, give or take a few trillion. I believe God calls them all by name. And I believe I’ll still check to see if the paint is really wet on the park bench. After all, some things are just unbelievable. Your all-consuming passion inside of me. I don’t want to spend my whole life asking, ‘What if I had given everything, instead of going through the motions?’ ” Close on the heels of all of this, the word I was supposed to have spent the last three days studying and reflecting on, but didn’t quite get to until this afternoon, was “diligent.” Sigh! I think God might be trying to tell me something? What if part of watching over your heart with all diligence is watching to make sure that you aren’t too busy? Think about that for a minute! What if part of watching over your heart with all diligence is watching to make sure that you aren’t too busy? What if being a diligent servant of Almighty God is not being choked by the cares of this world and the deceitfulness of riches (Matthew 13)? What if part of being diligent is “laying down what’s good and finding what’s best”? The other place that diligence was staring me in the face today was my strawberry patch. I have spent the whole summer doing what absolutely had to be done. As a result, I have a nice crop of weeds in the middle of my strawberry patch. It grieves me as I pass it, but I don’t have the time to eradicate those weeds. But the weeds are a poignant object lessons: the longer you let undesirables stay, the more they damage the plants you want and the less fruitful the strawberries will be down the road. The strawberries become a very concrete reminder that when I am too busy to do what needs to be done, negative consequences ensue. So then, over-commitment and being too busy are similar to the weeds in my strawberry patch. Just like the weeds are counter-productive to my strawberries producing abundant and desirable fruit, ungodly behaviors (including overcommitment) are counter-productive to my life as a Christian. Just like the weeds in my strawberry patch, too many projects can creep in - if I am not diligent to thoughtfully choose a manageable number of projects and tasks. So not only must I be diligent to practice these qualities so that I don’t fall (faith, virtue, knowledge, self-control, steadfastness, godliness, brotherly affection, and love), if I am not diligent in practicing them, I will be ineffective or unfruitful. Ineffective or unfruitful how? Verse nine says that the person who doesn’t have these qualities and isn’t increasing in them is blind and forgets that he was cleansed from his former sins! It sounds like not being diligent in practicing these qualities makes me ineffective and/or unfruitful as a servant of God. And the truth is: if I’m too busy that I don’t have time, energy, or thoughtful planning to practice these qualities, my life is going to look like my strawberry patch: some faith next to some unbelief, some virtue next to some ugliness, some knowledge next to some ignorance, some self-control next to some out-of-control behavior, some steadfastness next to some wavering, some godliness next to carnality, some brotherly affection next to selfishness and pride, and some love next to some discord, anger, and disdain. Furthermore, if I’m not diligent - because I’m so busy putting out fires - that I don’t intentionally practice godly behaviors, eventually the ungodly behaviors will take over - just like the weeds - and choke out what is godly. Being too busy has serious consequences!!! 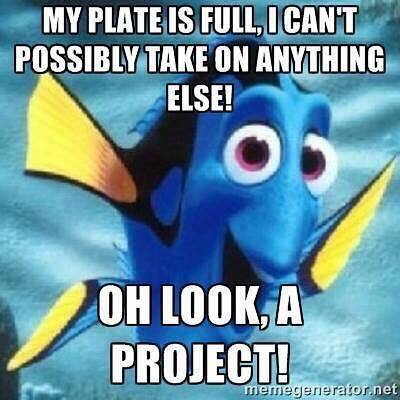 So, my plate is full and I can’t possibly take on another project. If you see me even thinking about it, please just say, “diligence.” I’ll know exactly what you mean. Pepper loves playing fetch. Neither Jonathan nor Christopher can walk outside without Pepper barking incessantly at them: “Throw the ball!! Throw the ball!” The boys launch that ball way out into the field. Pepper often has it on the first bounce. He’s so fast! But more impressive than his speed is his agility in catching the ball. He leaps, sometimes five feet into the air, to catch the ball. When he doesn’t catch the ball in mid-air, he scrambles to corral it. I can just imagine the futility of a mouse trying to escape his ability! But sometimes in going for the ball so hard, Pepper flips over, sliding in the grass. (I try to always throw in the grass so that he doesn’t slide on the gravel.) Sometimes his focus is so singly on the ball that his body contorts in weird positions so that, when he hits the ground again, he’s completely off-balance. Often I hear grunts and see close calls as he avoids trees and other obstacles at the last moment. The other remarkable aspect of Pepper’s fetching is that he never wants to stop. I think he could actually kill himself if I let him go as long as he insists that he wants to go. It’s a fun object lesson for us, isn’t it. Find something that you love to do, preferably with God involved. Prefer the task God gives you over all other activities. Enthusiastically prefer the task God gives you over all other activities. Do it with all of your heart. Don’t let a few bumps and bruises dim your enthusiasm for your task. The troubles and heartaches of this life don’t matter in the long run; getting to the goal does. If you don’t succeed initially, persevere. Don’t give up because life bounces in a direction you didn’t expect. Pay attention to things that could get you hurt because you don’t want them to stop you from reaching your goal. But don’t let peripheral things distract you from your goal. Persevere at the job God’s given you to do until He calls a stop to it. If He wants you to quit, He’ll take the ball out of your court. I have often thought that people who sing about “the most wonderful time of the year” have never experienced the Feast of Tabernacles. How can you get any better than worshipping God with people of like mind for eight days!? This incredible time of worshipping, rejoicing, fellowshipping, and tabernacling in Him is just what we need to refresh our hearts and mind and strengthen our hands and minds for the tasks God’s given us to do. I hope you are making preparations for what is truly the most wonderful time of the year! Malachi 1:1 An oracle: The word of YHVH to Israel through Malachi. This is a “burden” (oracle) given to Israel from Malachi (which in Hebrew means “My Messenger” (this is possibly the author’s name or his title). One might consider this book to be an epistle (letter) of the Israel of God - the Church. There are several levels upon which this can be taken: a) It is a letter to the “new Man” created in Messiah; b) It is a letter of self-examination to each one of us; c) It is obviously a letter from a prophet to the exiles who had returned from Babylon. It was possibly written sometime between Nehemiah’s first and second visit to Jerusalem. We read some of the same things (i.e. sins) in the latter end of the book of Nehemiah (compare Mal. 3:8 & Neh. 13:10; Mal. 3:5 & Neh 5:1-5; Mal 2:10-11 & Neh. 13:23). It has been suggested that this book was written by Nehemiah after his return. But we really don’t know, so let’s assume his name was Malachi. In this book seven statements, with questions, are discussed. If the Spirit of God had Malachi configure this book around these seven questions, they must have some significance to the understanding of the book. We find that there is no prologue, no introduction to the book - only the opening verse is there to lead us directly into the body of the message. The ground work to the whole book is laid out in verses 2 & 3, and it involves Esau and Jacob and what they represent. To answer the question YHVH could have mentioned Abraham, the Exodus, the Red Sea, the manna, water from a rock, Jericho, etc. You get the point. There were many things that God did to show His love for Israel - even down to this point in time, where the recipients had returned from exile in Babylon to Jerusalem. These things were written for us upon whom the end of the age has come. It would be good for us to consider them as personal admonitions. The other morning when I was walking the dogs, I was reminded of a very important thing: when you’re distracted, you can find yourself in a sticky mess. Pepper was barking, wanting me to throw the tennis ball, and I wasn’t looking where I was going. Before I could do anything about it, I felt the sticky strands of a huge spider web all over my hair, my face, my shoulder and arms. It was a yucky, if very memorable reminder, to pay attention to the things around me - especially when I know there will likely be spider webs. Yesterday Jennifer and I went up to the grapes to pull weeds. When we got there, it looked terrible! Grass that was two feet tall was growing everywhere; you could hardly see the grape vines. But, the ground had been heavily mulched, and those grass clumps came out without a fight. It’s an important thing to remember that people can be like that grape patch. We can look at them and say, “Look at all their mistakes! Look at how far away they are from God!” But we can’t see underneath the surface. Maybe God has heavily mulched their heart, and when the time comes, He’ll pull those sins out of their life without a fight. Also remember that you used to be that person. You used to be covered in weeds two feet high. You couldn’t weed your own patch. You needed God to come do it for you. Like the grapes got the free gift of us pulling the weeds out of their soil, so we receive the free gift of God’s grace. We didn’t earn salvation. God gave it to us freely. But, as we continue to keep the weeds out of the grapes, we expect some growth from those vines. In the same way, God expects some growth, some obedience, out of us. How well are you growing in your weeded soil? Malachi 1:3 . . . but Esau I have hated. I have laid waste his hill country and left his heritage to jackals of the desert. In verse 3 we take a look at Esau’s mountain and his inheritance. The “mountain” of the old man is the fleshly world, the society in which we live and that is his inheritance. It is a “wasteland;” it is worthless and it profits nothing (John 6:63 - the flesh profits nothing). Just let us remember that we are in the world but not of the world. Verse 4: the old man is always trying to rebuild, in the flesh, the wasteland. But YHVH of Hosts says that His will is to demolish the old man. It is wickedness and is under the wrath of God (verse 4). As a sidebar, this condemnation seems to echo Rev. 18:2-4: “with a mighty voice he shouted: fallen, fallen is Babylon the Great! She has become a home for demons and a haunt for every unclean spirit.” We also much remember that if we have undergone the waters of baptism, then our old man was crucified with Messiah (Rom. 6:3-7). Verse 5: One day we will wake up to the leading of the Spirit and say, “I see it! God is great in what He is doing! Not only has He created the new man to be transformed into the likeness of His Son, but He is demolishing the old man (that which is outside of Israel, that which He will not allow into His kingdom). And now I see just how much He loves me!! Question one answered. Because God starts the book off with Esau and Jacob, we believe He is setting precedence. It may be possible to see everything in the book as concerning the old and new man. And that is how we are going to proceed. Why is this book placed last? Perhaps it is to prepare us to enter into the Apostolic writings (i.e. the New Testament). Unlike the first question, where the discussion comes after it is stated, we find the discussion for the second question leading up to it. The second and the third questions are tied together in that the final answer to the second one is found in the third. But the discussion of the second begins with a son and his Father and a servant and his Master. We start with a positive statement: “A son shows honor . . .” That is, a true son of God (the new man), does show honor and respect and it is only by the new creature in Messiah that he can do it. Who shows contempt? The old man. He is deceitful (Jer. 17:9) and he is enmity against God (Rom. 8:7). When we (the priests of God - 1 Peter 2:9) walk according to the old man, we are showing contempt for the name of YHVH, which we have taken upon us. There is nothing of the old man that is allowed into the “holy,” into the “land.” Number 14:22: “not one of the men who saw My glory and the miraculous signs I performed in Egypt and in the desert but who disobeyed Me and tested Me ten times - not one of them will ever see the land I promised on oath to their forefathers. No one who has treated Me with contempt will ever see it.” There is nothing of the old man allowed into the land. When we mix the two, we place defiled food on the altar. Questions 2 and 3 are tied together and so we find them in rapid fire succession. As we see it, showing contempt is an attitude, and that comes first; bringing defilement is an action and that comes second. I suppose this may be seen in the example of someone we knew many years ago. His comment, made out loud to several brethren was that “I’ve been paying my tithes for over a year now and God has failed to bless me.” Can you hear the contempt? This man was offended by Almighty God and he was having no more of Him. He defiled his calling and walked away. This next question, having been the answer to Question 2, becomes the lead-in to the longest section of the book. The length of the discussion is significant. Do you know what a mole is? Most people would think of a small burrowing creature, but that’s not what I’m referring to. In chemistry, a mole is 6.022 x 1023 of an object. But it can also be defined by mass. It can be defined as the amount of atoms in 12 grams of Carbon-12. Confusing, right? Yesterday I read that section and closed my chemistry book with every single wheel in my brain turning. I didn’t have my brain wrapped around the concept. Today, though, I have a much better understanding of it. I get what the book is talking about. It’s just one more thing we can pull an object lesson out of. Sometimes we may not understand something we read in the Bible. Or maybe we are unsure of what our next move should be in life. My advice: Don’t rush your choices. Don’t worry if you don’t understand. Pray about your situation, then give God time to answer. Wait on Him. And you may have to wait a while! One time Jeremiah had to wait ten days for an answer from God! But remember that when you do get God’s answer, you will find it was much wiser to wait and pray than to jump into an immediate decision. "So," Socrates continued, "you want to tell me something bad about him, but you're not certain it's true. You may still pass the test though, because there's one filter left: the filter of Usefulness. Is what you want to tell me about my friend going to be useful to me?" "No, not really." Do you realize what a privilege it is to be involved with Hebron Children’s Home?! Sagar and Suneeta are teaching this group of children about our God, having a relationship with Jesus, affirming God as Creator and Redeemer, and including instruction in Sabbath and Holy Day observance. While we were observing the Feast of Tabernacles, Sagar was visiting Sabbath churches surrounding Palakol, many of which were begun by former Hebron orphans. He was also invited to speak at a Sunday church which wanted to know more about the Sabbath and Holy Days. Hebron is in the middle of a building project: completing work on a nursing school. The tuition from this school helps to support the orphanage. Presently, Sagar is using some of the funds we send to purchase materials. Water is always a concern at Hebron. Because they are so close to the coast, their well water has a high saline content. The required filters last about six months. We as a church have just sent monies to purchase new filters. Sagar always tells us to convey his gratitude for your help! God answered Jesus and delivered Him from the grave. He can answer us the same way. He can turn our plea into a praise in the time it takes us to say four words. Are our sacrifices blind, crippled, and diseased? We are told that we are to offer sacrifices of praise. Our sacrifices are our prayers - is our sacrifice blind? Do we pray without direction? Do we get lost in our thinking about worldly cares and selfish concerns? Is our prayer life crippled and diseased? Do we fall asleep while praying? In Isaiah 43:24 it says, “You have not bought any fragrant calamus for me, or lavished on me the fat of your sacrifices. But you have burdened me with your sins and wearied me with your offenses.” I do not think that God condemns us for falling asleep or having our minds drift, but how careful are we to focus on the object of our prayers? Our Father is loving and merciful, but He is also awesome in majesty and He is God who is to be feared and revered. Focus on Him. Remember, this is a book of self-examination! And we should note that God said elsewhere, “I desire mercy, not sacrifice” (Hosea 6:6). Is our mercy undefiled? It is interesting that Hebrews 13:10 says, “We have an altar from which those who minister at the tabernacle have no right to eat.” Hebrews 13:15-16 says, “Through Yeshuah, therefore, let us continually offer to God a sacrifice of praise - the fruit of lips that confess His name. And do not forget to do good and to share with others, for with such sacrifices God is pleased.” Wow! Praise, fruit of lips, doing good and sharing; this is important stuff. The first part of Malachi 1:9 - “Now implore God to be gracious to us” - is interesting. It is a short inset by the author. As a side point, this may be an indication of who wrote this book. In the book of Nehemiah, we find several insets spoken by Nehemiah (see Neh. 2:4; 4:4, 9; 5:19; 6:9, 14; 13:14, 22, 29, 31). These are interesting short calls to prayer or prayers seemingly just inserted into the text. I believe there is a lesson on our prayer life for us here!! (Paul also calls us to an enduring prayer life; see Rom. 12:12; Col 4:2, and 1 Thes 5:17). At this point, Malachi inserts a call for us to pray for God’s grace. The second part of verse 9 - “With such [defiled] offerings from your hands, will He accept you?” says YHVH of Hosts. God’s acceptance of us is to some extent based on the offerings of our hands - praise, prayer, doing for others and sharing. We know that in reality our acceptance is based upon the blood of Messiah, but our relationship with God may be reduced or enhanced by these acts of love toward God and toward our neighbor. Question 3 is the longest of all discussions, and it is in verse 10 that we possibly may find out why. “Oh, that one of you would shut the temple doors, so that you would not light useless fires on My altar! I am not pleased with you,” says YHVH of Hosts, “and I will accept no offering from your hands.” It is better to just shut the temple door (that is, get up off our knees), than to offer useless sacrifices. He will not accept them, and we waste His “time” as well as ours. Wow! This is quite serious and calls for the extended discussion! Verse 11: God’s name is great! Our incense (prayers of the saints) and offerings (see earlier discussion) that are pure will be brought before the name of our God! God’s name is great!! There will be a bride for the Messiah and that bride will be holy devoted and wholly (completely) devoted to Him. Verses 12 & 13: profane, defile, contemptible, a burden, contempt. What a list! Let us pray to our Father that we have never been, and will never be, of this mind! Help us in this, O loving God. Going back to verse 7, we see that it is the people who have defiled the altar and now God says that we, the people, complain that the altar is defiled. It seems to be human nature to sometimes create problems for ourselves and then wonder why God is not blessing us. We sin and wonder why God is not with us. Verse 14: God curses those who cheat Him and try to deceive Him. His name is to be revered. An example of this is shown by the episode in Acts 5:1-11 where Ananias and Sapphira tried to deceive the Holy Spirit of God. Sometimes life comes at you from expected directions which make you stop and consider your life. Sometimes life comes at you from unexpected directions which make you stop and consider your life. It seems like lots of both have converged recently. We've just completed the cycle of the holy days for another year. What have we learned? Have we grown closer to God? Have we eschewed evil and been more conformed to the image of Jesus Christ? Are we preparing for the ordination of the priesthood, the wedding supper of the Lamb, the dedication of the temple? We are of the priesthood (1 Peter 2:9), we are the Bride (Rev. 19:7), we are the temple of the Living God (2 Cor 6:16). We’ve just celebrated another Thanksgiving Day. Are we truly thankful to our God? There’s a serious warning to those who do not express their gratitude in Deuteronomy 28:47-48: Because you did not serve the LORD your God with joyfulness and gladness of heart, because of the abundance of all things, therefore you shall serve your enemies whom the LORD will send against you, in hunger and thirst, in nakedness, and lacking everything. In other words, any time we start feeling an attitude of ingratitude, we should stop and count our blessings because we are SO blessed! I celebrated my fiftieth birthday this week. Ron pointed out that it is a good time to reflect back on where I’ve been and where I want to go. Jonathan told me I was old, but that I’m not over the mountain yet (Sound familiar, Mom and Tricia?). It is a good time to think about the person I am and where I want to be on the jubilee of my birthday. Am I looking to the One who is my Jubilee in all things? And it’s the end of the year. The harvest is in. The Saladins are observing a sabbatical gardening year in 2017; it’s time to think about our growth in Christ. What needs to be weeded out? How should I better prepare the soil of my life? What should I plan to grow and what is a waste of time? What do I want to harvest? What do I really need? All of these were expected events - good reminders to think about my priorities, my current path and what changes I need to make in my goals to get where I want to be. One unexpected event was the recent election. I didn’t expect Donald Trump to win, and I didn’t expect Missouri to vote overwhelmingly Republican. It was an unexpected result - in my perspective. It was more than a mandate from the people of this country that we need to go in a different direction; it was a blessing from God to give us the opportunity to go in a different direction. It’s not time to now sit back on our hands and quit seeking God’s blessing and direction; we haven’t arrived. We just have the opportunity to do something different. Nothing different has been done . . . yet. Two other unexpected events caused some intense reflection as well, namely the recent accidents Adam and Jim experienced. We, as a church family, could very well have lost two people we care about very much, except for the gracious intervention of God. We are so very grateful for His mercy and protection! But both serve as poignant reminders that we don’t know how much time God has allotted for each of us. We have to keep short accounts with God and with each other. We can’t let walls of separation remain. Normally, we spend time thinking about our relationship with God and one another most intensely right before Passover. But Dad’s commentary on Malachi and Jonathan’s reflection on thanksgiving both exhort us to think about our relationship with God now. I don’t know if you all have been experiencing the same wave of events that I have - events which prod me to stop and take stock - but I suspect that it’s not just me. So then, it’s time that we heed the warning, the exhortation, the leading of the Holy Spirit. We need to take the time to examine ourselves, our walk with our God and our relationships with each other. We don’t have the luxury of waiting until Passover. We can’t put it off. And truly, if God takes the time to set up these events to get our attention, why would we want to disregard His leading?